I am so excited to pass along this fun bug game. 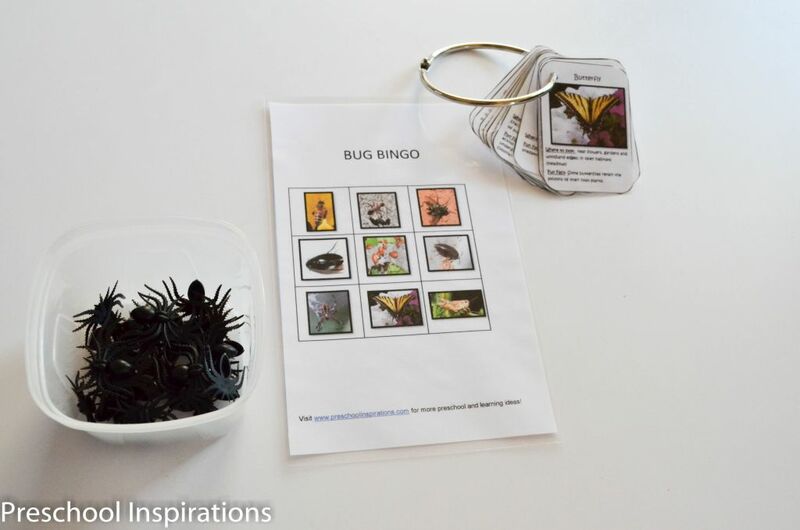 Bug Bingo is great for any science area or to supplement a bug or insect theme. 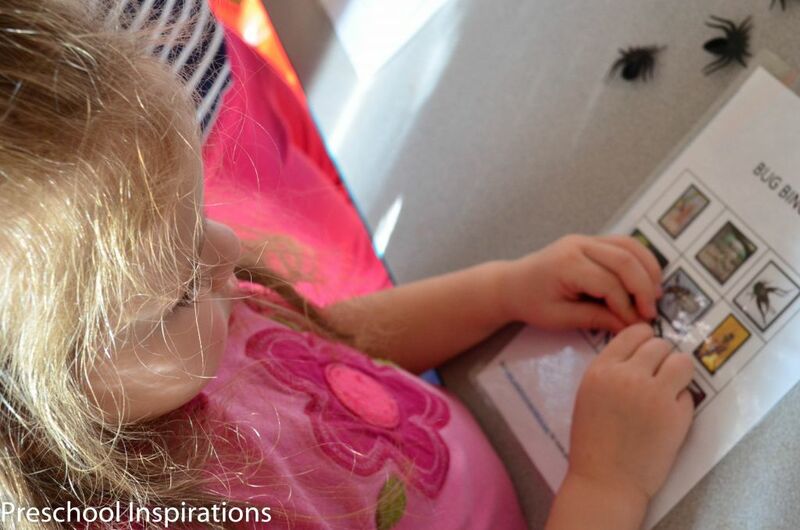 It was created by the very knowledgeable Marta, and she has dedicated this fantastic resource “to all the amazing moms and teachers out there who dedicate their lives to the ittle-bittles and to my special son, Z-man, who can’t wait to share his knowledge of bugs with anyone who will listen!” Please use these for single classroom or home use, and all photos are copyrighted to Marta. 1. If you haven’t already, download and print a copy of the Bug Hunt Scavenger cards on card stock. 2. Cut out the individual cards; you can laminate them for durability. 3. 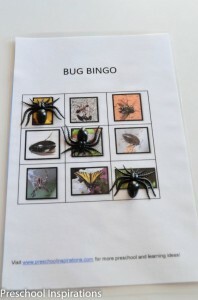 Print and cut out the Bug Bingo cards on card stock. 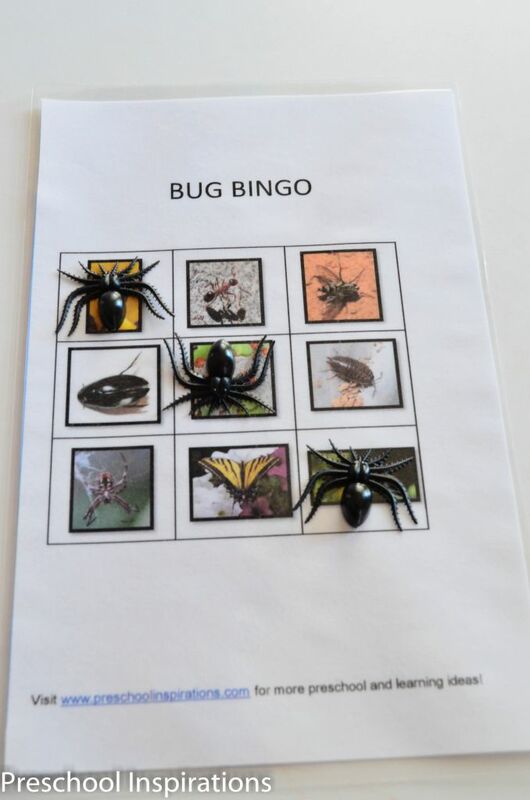 There are 20 different Bug Bingo cards. You can laminate these as well. 4. Have each child select a Bug Bingo Card. 5. Gently shuffle and place the Bug Hunt cards in a pile, facedown. 6. Draw one Bug Hunt card at a time. If that Bug is found on a Bug Bingo Card, place a marker on top. 7. The goal is to have three in a row, or you could play until they have finished the entire card. 8. For markers: use large dried beans or pennies or checker pieces, etc. Please remember that these are all choking hazards and children should be supervised during use. 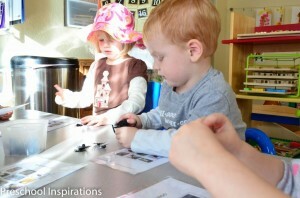 Alternatively, if laminated, children can use dry erase markers to practice the Letter X on each bug found on their card. 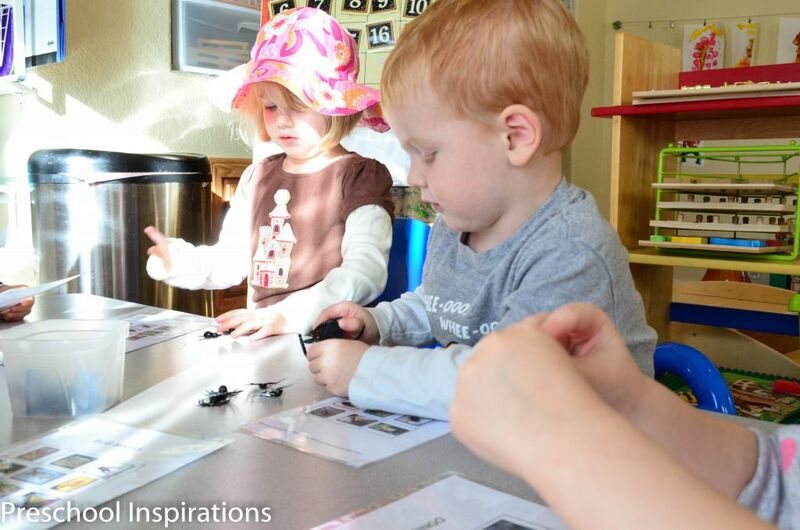 9 .Encourage children to identify the bugs or answer questions about the bug when the card is selected. For example, you can draw a Bug Hunt card from the pile and ask the children to holler out the name before they mark their Bug Bingo cards. I also wanted to give you all a peek at our game from today. We used our plastic spiders as our markers, and it was a blast. I had no idea how long they would be interested in the game, but all of them wanted to play much longer than I ever anticipated.